You want your landscape to be as beautiful as possible. Whether there’s a competition going on in your neighborhood, or you want to boost your curb appeal, you can’t underestimate how important your landscape is. Your lawn will keep growing during the spring and summer months, but once the first cold front of fall and winter arrive, your lawn will slow down and won’t develop. Now that spring is back, it’s time to start mowing the lawn again. Add more oil to the mower and refuel it if you need to, because you’re going to be using it almost every weekend. 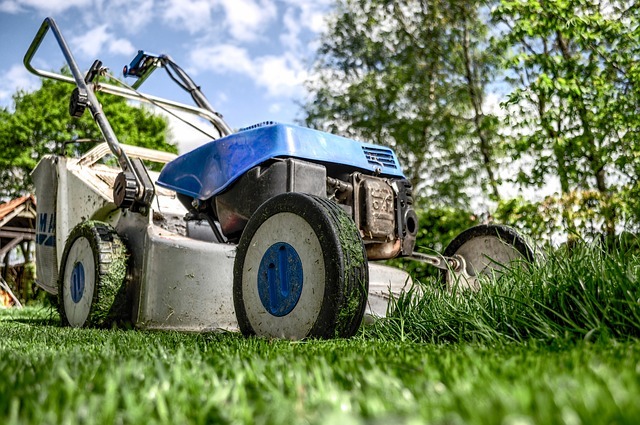 Take advantage of a breezy day filled with plenty of sunshine to let your lawnmower catch some rays and warm back up after a long winter of storage, the mower needs to wake up from hibernation. Putting a black garbage bag over your mower can ensure that it heats up – but you might want to tape a note the side indicating that it’s not destined for the dump! Part of the challenge of waking your lawn and landscape up is dealing with weeds and other unwanted growth. 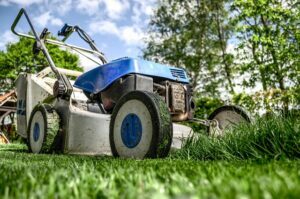 Commercial weed killers can help you dispose of crabgrass, and that way, you’ll have more room to plant what you want. Be careful though, because using too many chemicals can ruin the fertility of your soil, and you don’t want that to happen. Now that you’ve managed to get your lawnmower working and you’ve addressed any weeds growing in your yard, don’t forget to nurture the grass! Strengthening the roots is an important step to take before rolling over the landscape with your mower. It’s still weak from cold temperatures, especially since spring can still pack cloudy days that you can barely call warm. Once you’ve done that, your residential landscape should be as good as new! This entry was posted on Friday, April 12th, 2019	at 6:17 pm	and is filed under Curb Appeal	. You can follow any responses to this entry through the RSS 2.0	feed. Both comments and pings are currently closed.